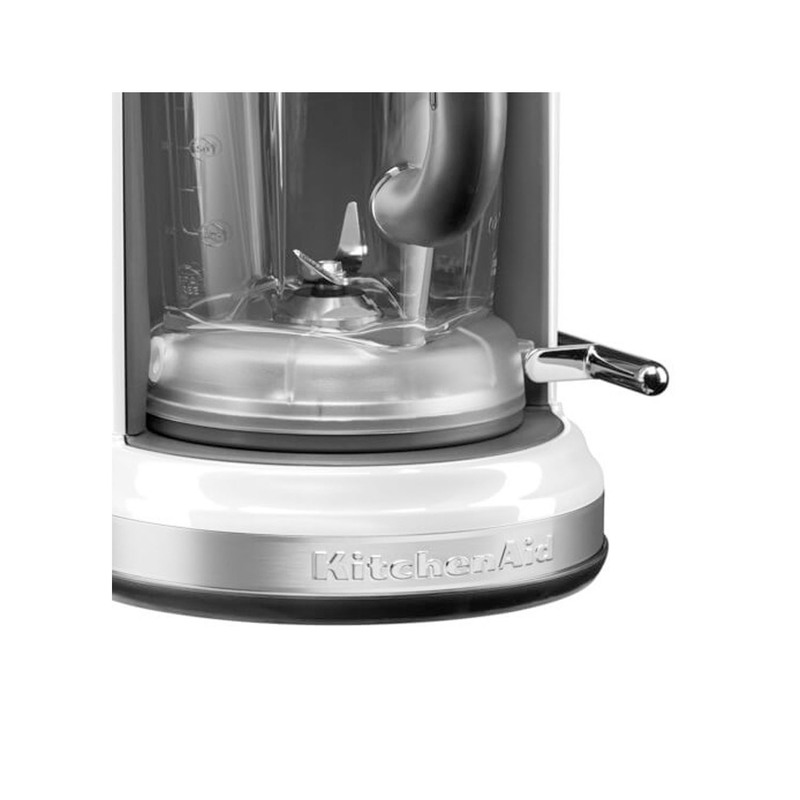 This KitchenAid Artisan magnetic drive blender is driven by magnetised turbo power to handle even the most challenging foods, from ice to hard fruits and vegetables. Four pre-set programmes automatically detect ingredients, adapting the speed and power accordingly, thanks to our Intelli-Speed technology. The turbo power is complemented by a specially designed, 1.75 litre jar. The unique shape funnels ingredients to the blades, creating a powerful vortex for thorough blending. 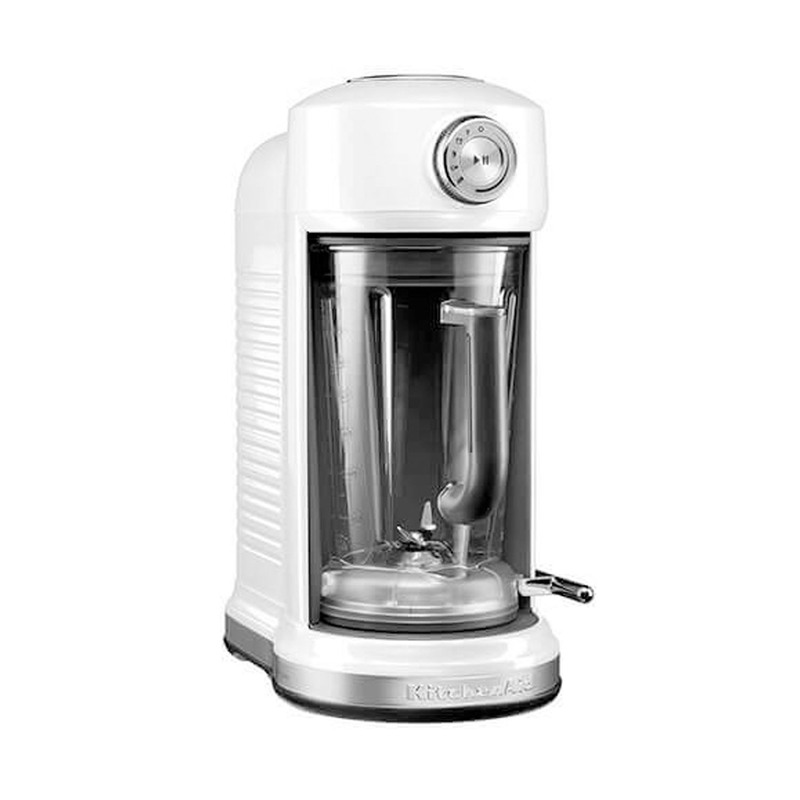 Choose four different pre-set programmes: Juice, Soups/Sauces, Milkshakes, Icy drinks/Smoothies, knowing that each function automatically shuts off when complete. 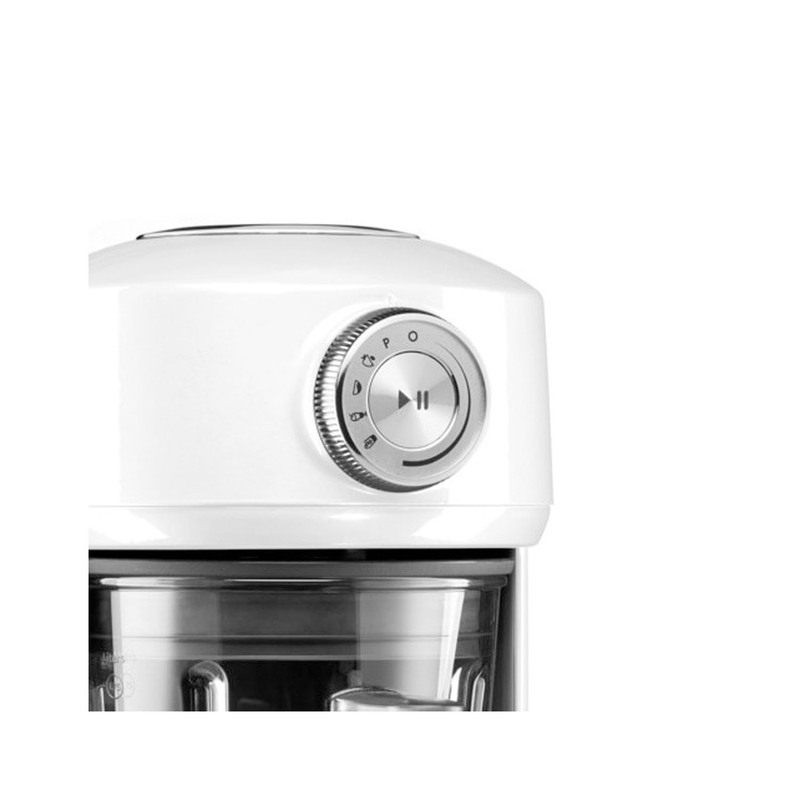 Two further options, Pulse and Variable Speed, let you precisely control other blended ingredients.